This is an original production drawing from the Walt Disney Studios production of The Big Bad Wolf (1934). 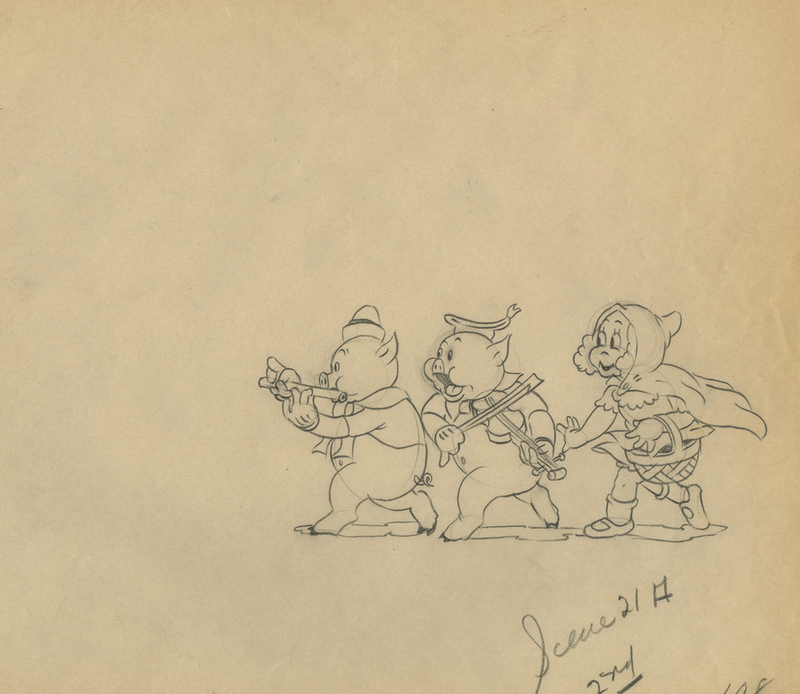 This drawing features Fifer and Fiddler Pig leading Little Red Riding Hood to Grandma's house, and was created at the studio and used during the production of the classic Silly Symphony. The overall measurements of the piece are 10" x 12" and the image itself measures 3" x 6.25". 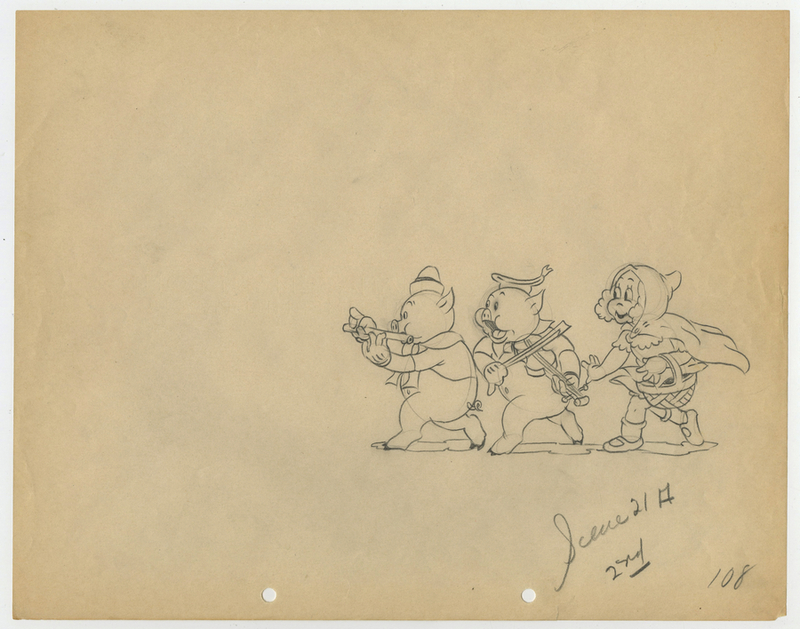 There is a notation that this drawing is from scene 21A, which is likely a scene that was supervised by Les Clark, one of the studio's Nine Old Men. The drawing is in very good condition.